After the worst week in stocks, at least since the Dow 30 has been calculated in its present form, we highlight below some of the S&P 1500 stocks that were actually up last week. 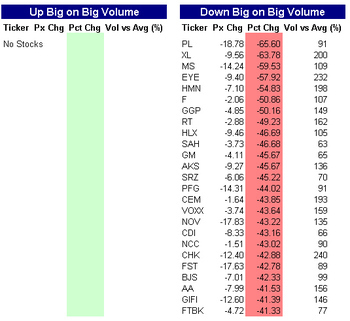 As shown, there were no stocks that were up on above average weekly volume, but there were several stocks that were up on below average weekly volume. 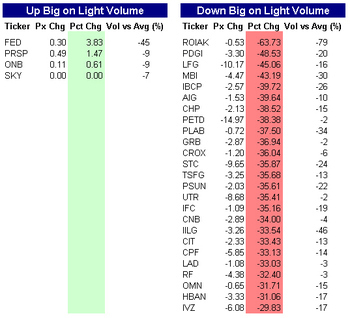 The stocks shown below as being down were not necessarily down the most, but were down the most out of the stocks trading above average weekly volume. What a nice review !! it saves my day !! thank you !